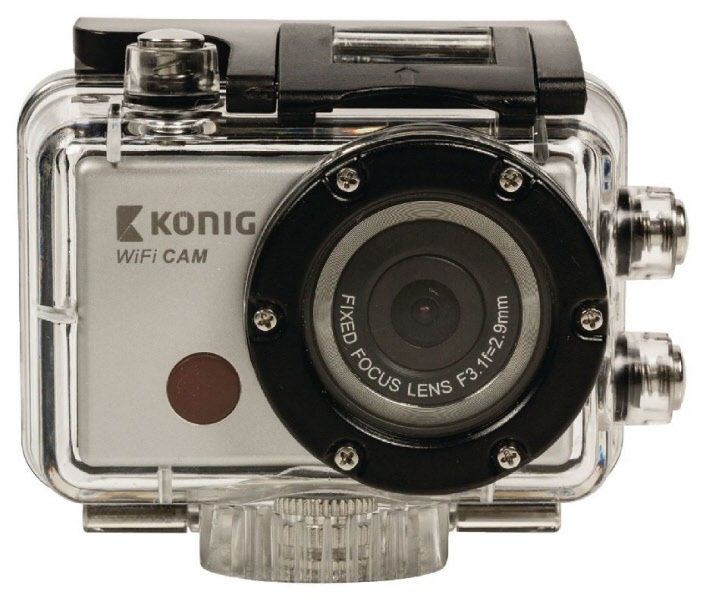 Lightweight action camera to mount on a helmet or bike and capture all the action, whether it concerns snowboarding, skydiving, rafting or a quiet walk in the woods. It has a 120° camera angle and Full HD video resolution to easily shoot razorsharp images. Additionally, it is equipped with a WiFi function to stream images directly to a personal media device, and a Mini HDMI port to easily connect it to a TV to instantly show content to with family and friends.